This lactose free recipe is a "sight for sore eyes," in more ways than one! A traditional long lost comfort food favorite, this lightened version also offers the nutritional benefits of Lycopene (found richly in tomato-based foods), which many researchers believe aids in protecting healthy vision. Cabot's individual chili cheddar meat loaves are so hearty that you'd never guess the recipe is a lightened version of this comfort-food favorite. 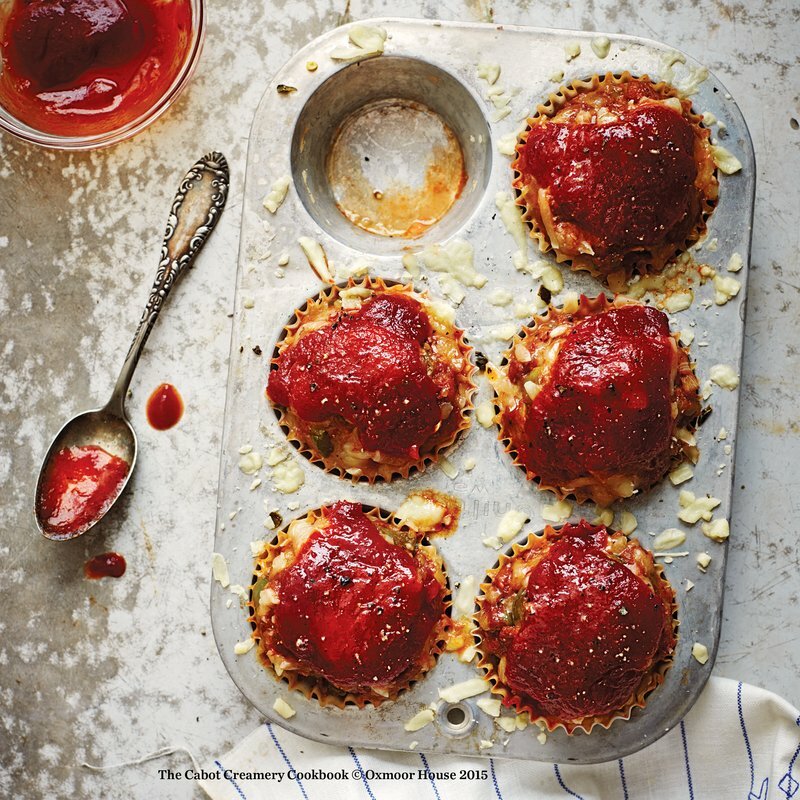 Use a regular muffin tin for personal-sized dinner portions or a mini muffin pan for bite-sized appetizers with just the right amount of spiciness. COAT a large nonstick skillet with cooking spray; place over medium heat. Add onion, bell pepper, and garlic; sauté 3 to 5 minutes or until tender. Combine onion mixture, 2 tablespoons chili sauce, ½ cup cheese and remaining ingredients in a medium bowl. SPOON meat mixture into 4 muffin cups coated with cooking spray. Top evenly with remaining cheese. Bake at 350 degrees for 12 minutes; top with remaining 2 tablespoons chili sauce. Bake an additional 10 minutes or until a thermometer registers 160 degrees. Let stand for 5 minutes before serving. *Tip: Don't be tempted to use a higher-fat ground beef. Using the leanest meat available helps ensure the right texture in this meatloaf since the juices don't drain away during cooking. Recipe courtesy of Cabot Creamery Co-operative. Photo courtesy of Katie Webster. My kids love Meatloaf and this recipe is great because I can make ahead for individual meals for the whole family! 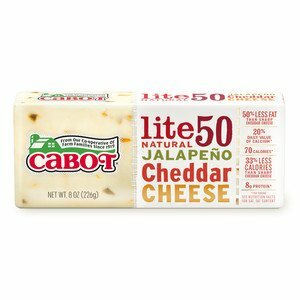 We also love the Jalapeño Cheddar cheese, thanks Cabot!